Your flight to cloud can be smooth, secure and less challenging than assumed. Cloud solutions helps businesses to boom and recover from any loss by powering the other technologies such as mobility, big data, and social media. Cloud gives organizations a new and better way to tackle the challenges faced by them. VertexPlus works on the commercial-grade that helps in resolving the critical problems faced in the business. Cloud computing is an on-demand computing power, database and application storage, and IT resources on different platforms via the internet. In simple words, it is an office without actually hardware and software. Cloud Computing is one of the ways or we can say that it is one of the simplest ways to get an access to a highly secured storage, database, server and application services on the internet. The business that is oriented or has Cloud Computing in their working structure have a lot of profit and advantages over the other firms who lack in this service. Here are some of the advantages that Cloud Computing provides. Whenever you deploy an application mostly you do is guess the expense. With Cloud Computing at your firm, you will get a clearer picture and the guessing game will be eliminated. Neither will you be short on resources and nor will you be paying any extra expenses. One can trade all your capital expense with the variable expense. With this, you will not have to pay any bills to data centres unless you use the data. Moreover, with Cloud Computing in play, you will just have to pay for the amount of data you have used and not for the complete stuff. Cloud is useful as it enables all the business goals of a firm. Cloud has been powering many organizations worldwide. Is yours powered too? Give a kick start to the Cloud journey with an improvised business agility to reduce the time-to-market. The infrastructure is modeled by implementing a disposable structure with reduction in cost. It also cuts shot the cost of ownership through enterprise-wide solutions, reusable templates and some repetitive processes. 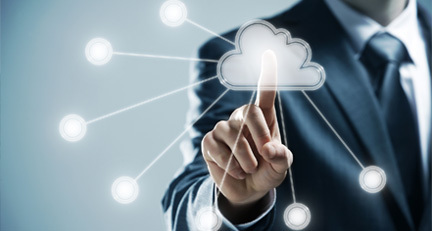 Make your IT Company Cloud embedded to get the most from your resources. Be it a small or a big IT firm, Cloud Computing has made things easier and smooth for businesses. Cloud has helped several firms in framing an organization which comprises more than just software and hardware. With several benefits and having a lot of advantages, Cloud has been providing some enhancing services to many IT firms. As the usage of Cloud in every IT and some Non-IT industry is becoming more and more prevalent with time, it has become very important that it should be addressed so that it eliminates the present and future challenges with the help of this technology. Considering all the aspects, here are a few common problems to those who are not using the Cloud Technology. This is a true fact that implementing cloud demands a heavy investment. But what makes things harder is its high operational cost. This happens due to the multiple applications that run on diverse platforms making it consistently difficult. It mostly happens to the less funded companies that due to the operational inefficiency there is a lack of focus business. Due to the high content delivery, the difficulty to meet the desired ROI has caused an adhering to budget pressure. Cloud is also helping the business get a kick start to swell the revenue but for that an organization needs to get the complete knowledge of the technology. The shortage of skills as well as fear of change can resist companies from accepting the fact that cloud computing is for their best of interest. Eliminate all the problems and hiccups from your internal and external systems of the firm with Cloud Computing. 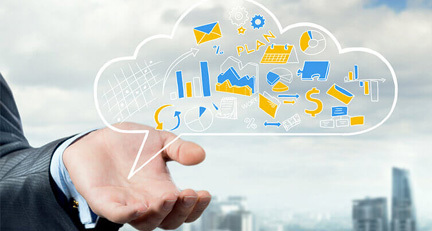 There are a lot of problems such as heavy investments, regular checkups, and many more that can be an obstacle in the way of implementing Cloud in a firm. But many high-end organizations have successfully implemented this solution and got the benefits which has swelled their revenue. PlanOur experts will assist with the overall management office of program. We will manage all the aspects of strategy and realize the benefits by implementing PMO. We review before enhancing the architecture and platform of cloud. Going one step ahead we also accelerated the deployment and integration process by recommending and using the tools for the enterprise. 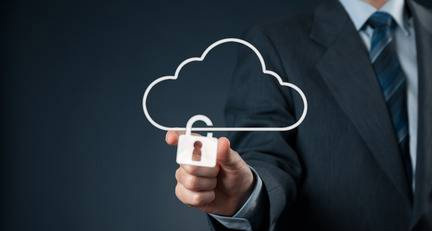 AccessBased on the business value and Cloud stability our experts keep analyzing the applications leveraging the assessment of the framework of Cloud Technology. There are a lot of applications that helps in making things better and easier and for each of them we develop the understanding of their existing pattern so that we can efficiently and effectively work on optimizing it for a better performance. MigrateThe migration is a phase where we try to implement the cloud migration using the standard tools such as Artifactory, Chef, and much more. We create a streamline standard for the reusable assets. Then to ensure that the migration is successfully operated in the business, we carry on tests and provide effective programs across multiple line of business. With all this together we swelled up our portfolios and confidence in such programs. ScaleOnce through with these you just have to scale the improvement. Analyze and judge as to how much betterment these enhancements and using Cloud fetched the organization. VertexPlus’ team is involved in making an organization realize all the benefits that Cloud can provide and implementing the technology to make things better.